Our Dinner Plain ski slope is the perfect place to learn how to ski. The gentle slope offers an ideal environment for you to learn the basics on how to ski. A lesson with one of our friendly ski instructors will provide you with confidence in no time. They’ll teach you to slide, stop, turn and work toward parallel skiing. A lift attendant will also show you how to use the poma lift to get you up to the top of the hill. Once you take a lesson to get the basics down you’ll be able to progress onto nearby Hotham terrain with ease. Price: $105 for an Adult and $73 for a Child or Senior. Please note an additional $5 applies if you do not have a reloadable Snow Pass card. Bookings are essential the day prior and can be made at the Hotham Online Shop. Otherwise contact Hotham Snowsports on (03) 5759 4450 or [email protected]. Lessons are available for guests aged 6 years and older. Children and adults may be combined into the same group ski lesson. 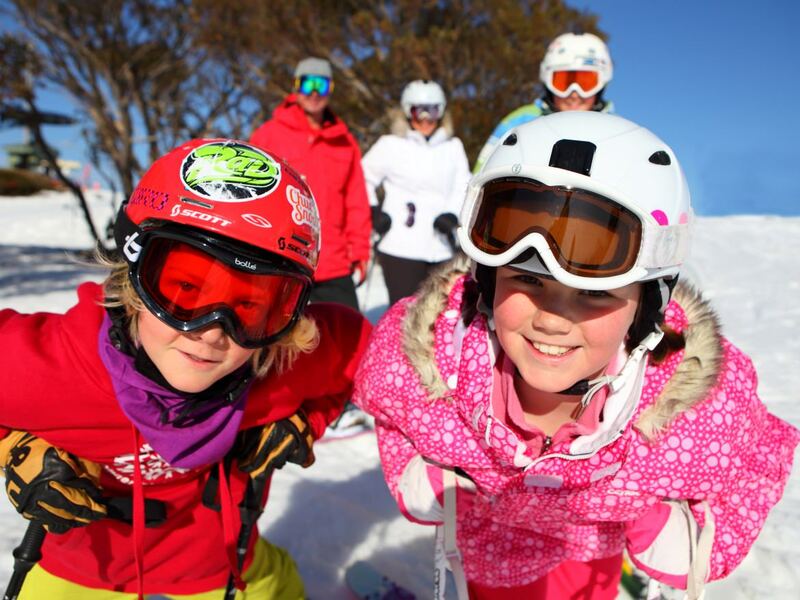 For kids-only lessons, check out the Mighty Mites and Kids Club programs at Big D at Hotham. Learn to ski or snowboard at your own pace with a one-on-one lesson. To book a private lesson please contact Hotham Snowsports on 03 5759 4450 or [email protected].